A collection of 13 romantic short stories based in India; a culture rich country steeped in tradition. Inspiration struck me from newspaper articles, TV shows and hearing people talk. 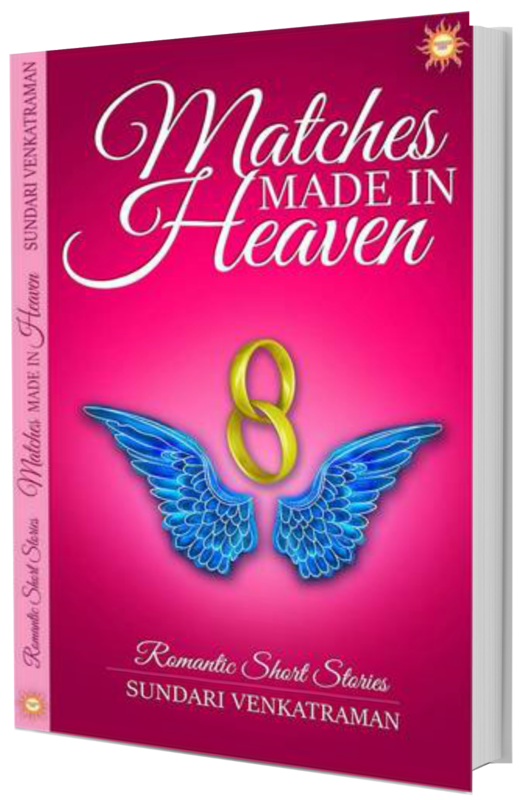 The short stories are based on that fact that arranged marriages thrive right alongside love matches in India. 1. Groomnapped is Ameya-Surekha’s story as a light romantic take on the serious issue of groom kidnappings. 2. Dark skin on a woman puts off men in general or so says the society. Beauty Is But Skin Deep is Nitin-Simran’s story that proves it wrong! 3. 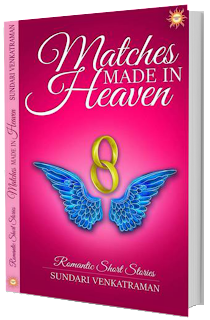 Ritu is twenty-five and wants to wait for her Prince Charming but her parents are desperate to arrange her wedding. Does she find her prince in An Arranged Match? 4. Dating Agencies are doing their best to get young people together to tie the knot. My friend Diti runs an informal one; inspiring the Red Rose Dating Agency. 5. A guy’s complaint about his fiancée of a few years dumping him after becoming successful in her film career felt like a rant to me. Chahti Hoon Tumhe is an ode to the successful actress. 6. Soumya actually lives life like Soul Mates but how many have the guts to? This, incidentally, is the first short story that I ever wrote. 7. Does Madeinheaven.com help bring Menka & Jeetu together with technology driven Matchmaking website? 8. I originally wrote Rahat Mili for an anthology; Rahat means ‘relief’ and is a name too. Read the story with the word in mind and it will fall in place. 9. Reema’s Matchmakers brings Arjun and Prisha together at a get-together through a matchmaking network. But will they get married? 10. Nikita wants Krish for a friend and not her husband. As The Reluctant Bride she manages to have her cake and eat it too. 11. Shweta Ka Swayamvar is inspired by the practice of Swayamwar in ancient India of choosing a husband, from among a list of suitors, by a girl of marriageable age. 12. Pappa’s Girl is about daughters of Industrialists taking over fathers’ businesses. 13. Mythology romances intrigue me; Love Match For Velan is my take on Lord Murugan falling in love with his consort Valli. Thank you so much Devika :D Hugs!